Slack has a native Linux app and is using notifications that are implemented by the OS. So, on eOS notifications from slack are just like other eOS notifications. 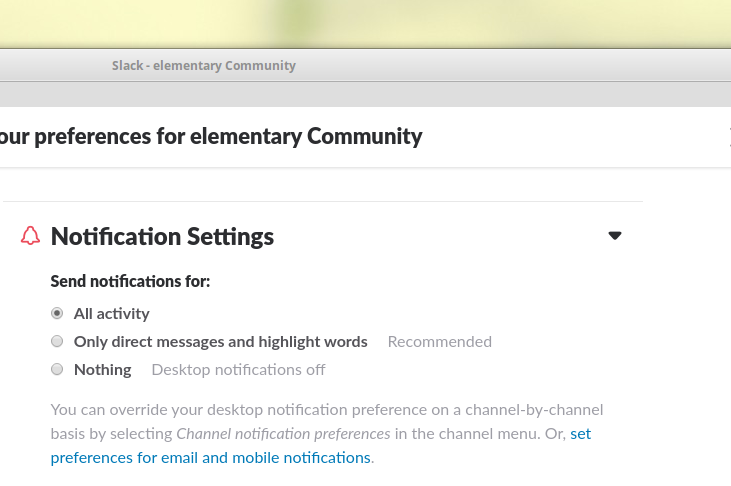 Slack notifications can be enabled in the app. Not the answer you're looking for? Browse other questions tagged wingpanel notifications or ask your own question.